Generally, the library does not purchase textbooks and is dependent on the instructor/academic department to donate a physical copy. Textbooks are unique to each campus. E.g., it is unlikely that Manassas will have a reserve copy of a textbook used for an Annandale course. You need a current NOVACard (student ID) to borrow reserve materials. Most textbooks on reserve are for 2 HOUR LIBRARY USE ONLY. The loan period is determined by the professor, not the library. There is a $4/hour or $4/day fee for late reserve materials. How to search the reserve collection for your textbook. 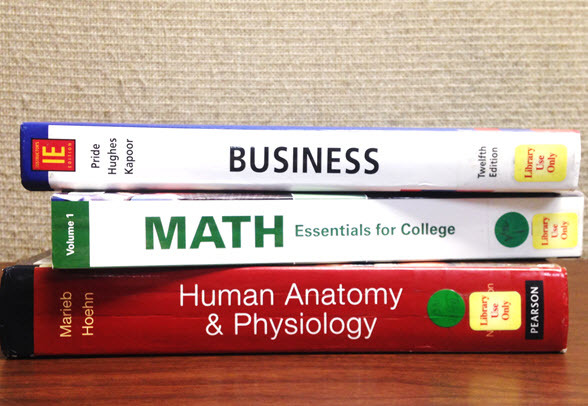 Search the library catalog to see if we have an older edition of your textbook that you can borrow for 3 weeks.